Maree is an Occupational Health Physiotherapist with a strong interest in Ergonomics and Musculoskeletal Injury Prevention and Management. Maree has worked in the Occupational Rehabilitation Industry for 22 years and has been self-employed for the past 15 years. Maree has been a TAVRP Committee member since 1997. Maree has a strong interest in professional development and ongoing education and in facilitating PD opportunities for TAVRP members . Maree believes that ongoing professional education is essential to underpin best professional practice, and is committed to assisting the Workplace Rehabilitation Profession to maintain best practice standards. Maureen Rudge, an Occupational Therapist, was the Inaugural President of TAVRP at its inception in 1988 and has been a member of the Committee since that time. She has also represented the Rehabilitation Industry on the Workers Compensation Board Medical & Rehabilitation Advisory Committee. In 2009 she was honoured with an Order of Australia (OAM ) medal for services in Tasmania to Occupational Therapy, the Vocational Rehabilitation Industry and for activities within the community. Lorelle has qualifications in Psychology and Human Resource Management, and a Master of Rehabilitation Counselling. She has been a member of the TAVRP Committee since 2014 and is a full member of the Australian Society of Rehabilitation Counsellors (ASORC). Lorelle has a diverse background which includes management, accounts and fourteen years’ experience in the disability sector. She has also worked as a Workplace Rehabilitation Provider, and a Rehabilitation Consultant for CRS Australia. Currently, Lorelle supervises the Individual Placement and Support Program for headspace Hobart. Cheryl has qualifications in Psychology and Rehabilitation Counselling. 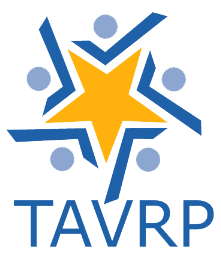 She has been a member of the TAVRP for 20 years, and has served on the TAVRP Committee since 2006. Cheryl is currently employed as Rehabilitation Case Manager in the Department of Human Services in Hobart. More than 30 years of her career was spent in general Human Resources work, including a high component of workers’ compensation and rehabilitation activities in the commonwealth jurisdiction. She was a Chartered Fellow of the Australian Human Resources Institute for 15 years until 2013. Annette has a diverse vocational background which includes hospitality, banking, small business management, Remedial Massage practitioner, and company director for Australian Association of Massage Therapists (now Massage and Myotherapy Aust). Annette has an undergraduate qualification in Psychology, a post grad certificate in Addiction Studies and a post grad Diploma in Rehabilitation Counselling. She is a full member of the Australian Society of Rehabilitation Counsellors (ASORC). She has worked for two years as a Rehabilitation Consultant for Workers Compensation, MAIB, and DVA clients, and now works under headspace’s Individual Placement and Support Program as a Vocational Specialist. Robyn is a registered Occupational Therapist , and holds a Graduate Diploma in Ergonomics. She operates her own private practice, based in Launceston. Robyn has worked predominantly in rehabilitation for over 30 years, mostly in northern Tasmania. She is an accredited rehabilitation provider in the Tasmanian Workcover system . Robyn sees clients in a variety of settings and industries, providing home assessments, ergonomic and workplace assessments, and injury management. Angela Kerrison-Smith has worked in the Tasmanian Vocational Rehabilitation industry for the past 16 years and has been a member of the TAVRP Committee for the past 14 years (inc Past President x3). Angela has been involved in developing the TAVRP Competency Standards, Code of Conduct and Principles, has been involved as a Tasmanian representative on the ARPA National Committee and is currently an active member of the Rehabilitation and Compensation Committee with WorkCover Tasmania, which involves consulting regarding Vocational Rehabilitation in Tasmania, proposed amendments to the Act, and the accreditation and ongoing auditing of Workplace Rehabilitation Providers. Angela is a qualified Occupational Therapist and has supplementary Ergonomic qualifications. She has also worked in Vocational Rehabilitation in Sydney, the United Kingdom and Switzerland. Angela is one of 2 qualified instructors in Australia, for the Physical Work Performance Evaluation (PWPE) functional capacity assessment. She is currently employed as the National Quality Compliance and Training Manager with Advanced Personnel Management (APM). Anne-Marie has qualifications in Psychology and Rehabilitation Counselling. She commenced working in Vocational/Workplace Rehabilitation in 2003. She has been a member of the TAVRP for 10 years becoming President in 2013. Anne-Marie was also involved with ARPA Tasmania as Secretary for 12 months. She is a full member of the Australian Society of Rehabilitation Counsellors (ASORC) and was an ASORC National Council member from 2014-2016. Anne-Marie has been a Unit Coordinator in the Graduate Diploma/Master in Rehabilitation Counselling programs at the University of Tasmania since 2009. She is also an Advisor to the Rehabilitation & Compensation Committee with WorkSafe Tasmania.